This was nothing less than a monumental year for GenCon. Wizards of the Coast and Paizo Publishing put on impressive shows but it was the smaller publishers who stole the spotlight this year. As the gaming industry continues to evolve creative forces are emerging to bring gamers new and interesting ideas. These are the kinds of ideas that larger companies forgo in favor of their big ticket items allowing room for designers to fill those special niches in our gamer hearts. In other words I spent way too much money but these products are so phenomenal I don’t have a single regret. The best part of GenCon was getting to see friends we only get to see at events like this and sitting in on some of the most exciting seminars to date. What’s Up with White Wolf? covered the evolution of the company since 2008 when they realized traditional publishing was not working for the company. They merged with CCP so WW could get off the product treadmill and focus on the next stage in the company’s life. This became White Wolf 2.0 as they tried to take emerging technologies and integrate them not only with new products but also with the enormous catalog of products they had already produced. This led to the partnership with Onyx Path Publishing. In regards to the New World of Darkness they decided the back log of S.A.S. adventure modules are fairly substantial and they wanted to focus energy on larger projects. These modules will become something they release along with larger projects like Mummy and Werewolf in the future. 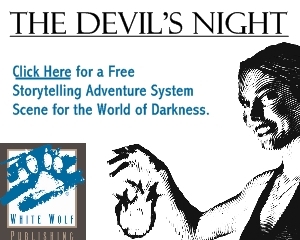 The fan reaction to the Classic World of Darkness has been so huge they had to keep moving with support for those games. Work is ongoing on Werewolf and they are hoping the cogs will keep moving and Mage will happen as well (although it is too soon to commit to that idea). Rich also spoke about Exalted which he felt went off the rails somewhere during second edition. So they have moved forward on work on Exalted 3rd Edition. As it turns out there was a small army of writers willing and ready to jump into that project. White Wolf’s “big announcement” had been pushed back and finally at the What is the Onyx Path? seminar Rich Thomas, Eddy Webb and company were allowed to pull back the curtains. After Black Wednesday it became apparent that CCP was no longer in the best possible position to keep publishing books for table top games. Exploring their options Rich Thomas made the decision to become an independent publisher (Onyx Path Publishing) where he and a talented team of artists and game designers could get back to the core of what made White Wolf great, creativity and awesome games. Onyx Path now owns both Scion and the Trinity Universe. They are still working on Werewolf but their next big projects will be focusing on new editions for those games. Rich has always been a fan of both of these game lines but they never really got the support they needed under CCP’s tenure. Onyx Path will also be helping independent game designers bring their unique ideas to the public. Russell Bailey’s Cavaliers of Mars will be the first new game under Onyx Path. Cavaliers of Mars is a swashbuckling game of adventure and heartbreak on the canals of Mars in a Venice-inspired setting. It is the kind of game that wouldn’t necessarily fit well under the auspice of White Wolf but is perfect for Onyx Path. We have been catching glimpses of Mummy the Curse on White Wolf’s development blogs for some time now. Colin pried back the cover a bit and started tying together the elements we have been seeing into a cohesive vision for a game that sounds like it is going to be a lot of fun. Mummy represents a return to the gothic horror for which the Worlds of Darkness are most well-known. Inspired by both literature and film Mummy taps into everything that we love about mummies and then develops the idea into a new kind of White Wolf game. Mummies were described as the inverse of vampires. Vampires are inactive for short periods of time with long periods of activity. Mummies are dead most of the time and wake up for short bursts of activity. This is the tragedy of their existence in that they have all the time in the world but they can only do so much with the time they have. The Werewolf the Apocalypse 20th Anniversary Edition seminar highlighted Onyx Path’s work on this game. A lot of work went into capturing the original feel of the game. Although there were several opportunities to make changes to the game (especially in terms of the rules) they avoided doing so because they did not want to change the quintessential werewolf experience. Kudos to DriveThruRPG for acquiring perhaps the most strategically well placed booth in the entire exhibitor hall. As the doors opened on Thursday the DriveThruRPG banner loomed before us all, the first to greet us to gamer heaven. At the center of that magnificent booth waited beautiful print copies of the V20 Companion, revised copies of the Book of Nod and layout demos for Werewolf the Apocalypse 20th Anniversary Edition. A lot of White Wolf’s older books which are now available in print on demand were there as well. Pelgrane Press has a lot of great projects in the works. They are taking preorders for 13th Age now and they have launched a Kickstarter for the second 13th Age book, 13 True Ways. This book will be a grab bag of new material for 13th Age including new classes, monsters, stats for the icons, rules for riding dragons and so much flavor for the Dragon Empire our heads might explode. They did quite well at the Ennie Awards. 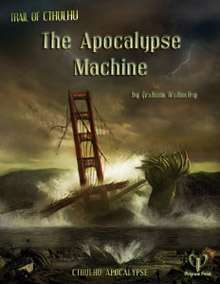 Graham Walmsley & Pelgrane Press’ Cthulhu Apocalypse: The Apocalypse Machine won a gold Ennie for Best Electronic Book. The Investigator’s Guide to Occult London won a gold Ennie for Best Writing and Lorefinder—The Pathfinder/GUMSHOE Mashup won a silver Ennie for Best Rules. Chaosium (Call of Cthulhu) was happy to share news about the seventh edition of their popular game which is currently in development. The new edition could easily be described as a face lift with streamlined mechanics because they plan to make the new edition 100% compatible with earlier editions of the game. This has always been one of the strengths of the game and they are not straying from that goal. They are also working on bringing Horror on the Orient Express back into print and updated to the seventh edition. The day before the start of Gen Con they launched a Kickstarter to fund production of the boxed set. Having already reached their goals they are plugging away at some goodies for their stretch goals. Cthulhu by Gaslight won a silver Ennie for Best Art, Cover. Dominic McDowall-Thomas, CEO of Cubicle 7 (The One Ring: Adventures over the Edge of the Wild, Doctor Who – Adventures in Time and Space, Cthulhu Britannica) was on hand as an Industry Insider Guest of Honor. He participated in several seminars covering such topics as submissions and proposals, how to publish your game, game master tips and the RPG scene outside the United States. Fans of the British science fiction series Primeval were able to get a good look at the Primeval Roleplaying Game by Gareth Ryder-Hanrahan at the Cubicle 7 booth. Cthulhu Britannica: Shadows Over Scotland won a good Ennie for Best Setting. Stopping by the Wildfire LLC (CthulhuTech, Chthonian Stars/The Void, Poo! Card game) booth I was disappointed to learn that Burning Horizons, the newest story book for CthulhuTech, did not make it to them in time for the convention. However, they informed me the book should be coming in sometime in the next few weeks and they were more than happy to take preorders. I was allowed to browse through a PDF copy and I think fans of the game will be very happy with the final product. It was absolutely gorgeous and the story unfolding was… Well, that would be spoiling too much now, wouldn’t it? We discussed Wildfire LLC’s new business model which will involve a mix of print on demand as well as traditionally printed books. They like the options available through print on demand but they don’t feel it works for all of the kinds of books they want to print. All in all, it is nice to see the company standing on its own two feet again and moving forward. The CthulhuTech living campaign, Face of R’lyeh, kicked off at the convention. Event organizers reported full tables and lines full of generic ticket holders. They weren’t able to seat everyone but they did their best, a promising sign for the game line. The Face of R’lyeh website will be going up soon. Arc Dream Publishing and Pagan Publishing shared a booth this year which packed a lot of great game designers in one place while also making it one of the busiest booths in that section of the exhibitor hall. Pagan Publishing (Delta Green, Final Flight) had copies of Bumps in the Night on hand and Scott Glancy was signing them for fans. Arc Dream Publishing (A Dirty World, Godlike, Monsters and Other Childish Things) had plenty of great stock on hand as well as an impressive lineup of game designers to talk about the games while you shopped. Between the exhibitor hall and an impressive list of events and seminars I am not sure how Arc Dream and Pagan managed to cover everything during Gen Con but they did. Zombies are as popular now as they have ever been and it was hard not to stumble across them all over the exhibitor hall. In the CoolMiniOrNot section of the exhibitor hall Guillotine Games was showing off their newest board game of zombie havoc, Zombicide. One to six players control survivors of the zombie apocalypse. Each survivor has unique abilities and teamwork is essential to achieving their goal, the complete eradication of all zombies! The zombies are controlled by a set of simple rules and a deck of cards. Several scenarios are available for the game which is played on modular tiles. Twilight Creations Inc. (Zombie Survival: The Board Game, Zombies!! !, Humans!!!) came prepared with a plethora of stock and a horde of zombies, err… volunteers, to help out. Their newest expansion Zombies!!! 11: Death Inc. will be hitting stores very soon so keep an eye out for it. Palladium Books was back again this year. The Dead Reign Roleplaying Game (zombie survival using the Palladium Megaversal System) has become a popular addition to the company’s catalog. Dead Reign Sourcebook 3: Endless Dead (along with the entire line of Dead Reign games) was available for purchase. This sourcebook adds several new types of zombies to the game as well as new O.C.C.s for players to enjoy. It also includes rules for creating safe havens in a zombie infested world and suggestions for how to manage your campaign’s time table. Kevin Siembieda, the driving force behind Palladium Book’s survival, was excited to be in attendance and between flurries of book signing and posing for pictures he shared with me that the company is finally in a really good place. Between a trio of crowd-funded projects and a steady stream of books things are looking good for them. Although he didn’t know when he was hopeful the company might be able to do another open house event at some point in the future. I was excited to find Pinnacle Entertainment Group had print copies of Hell on Earth: Reloaded at the convention. This book updates Hell on Earth (1998) to the Savage Worlds rules set and should be available to the public very soon. 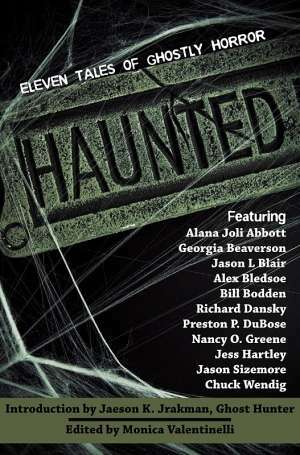 While purchasing this book I also grabbed a copy of Weird War II and leafed through copies of the Deadlands comic by Visionary Comics. Visionary has really done a great job of capturing the essence of the Weird West and the four part series has been so successful they aren’t stopping. Deadlands: The Kid: Origins #1 is available now and continues their exploration of the Weird West. PEG’s Savage Worlds Deluxe Edition won a gold Ennie for Best Game. Speaking of comics, Pathfinder #1 hit the shelves and generated quite a buzz at the convention. Produced by Dynamite and based on the characters and world created by Paizo Publishing for the Pathfinder Roleplaying Game the comic was destined to be a success. Jim Zub and Andrew Huerta have crafted a dark tale featuring iconic characters from the game line. Goblins are attacking during the day which is uncharacteristic of them. When the intrepid pathfinders put them down they find the creatures infected with a maddening plague. Who has corrupted them and driven them into this blind rage? The story has only begun to unfold but it has already grabbed my interests. As a bonus issue #1 also includes game material for Sandpoint, the characters in the story and an adventure which follows the same general story which the comic does. For the price of a normal comic readers are also getting a complete sourcebook. Wizards of the Coast’s Madness at Gardmore Abbey (Dungeons & Dragons 4E) won a silver Ennie for Best Adventure as well as a silver for Best Cartography. 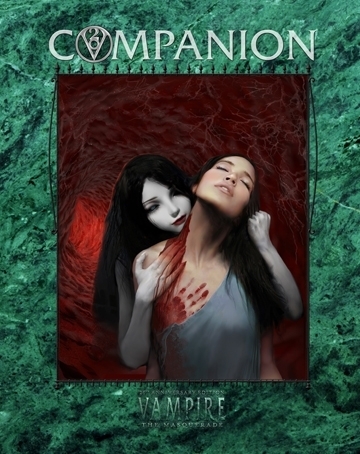 Steven Jackson’s GURPS Horror, Fourth Edition won a silver Ennie for Best Supplement. Green Ronin’s dark fantasy adventure game continued a successful run when Dragon Age: Set 2 won a silver Ennie for Best Art, Interior. It was an exciting convention for everyone who attended. Although some of us are down with the con crud or wearily trying to catch up our schedules there are a lot of smiles floating around the gaming community right now. GenCon broke the record books again this year and hopefully next year we can do it again. See you all then!